The Hanko Music Festival is proud to announce its world-class concert programme for this year’s festival, held between 14 and 19 July 2017. The festival programme was announced and the ticket sales opened today, 4 April 2017. The festival features some of the rising superstars of classical music, including the Austrian violinist Emmanuel Tjeknavorian, the Mexican soprano Maria Katzarava and the British cellist Natalie Clein. 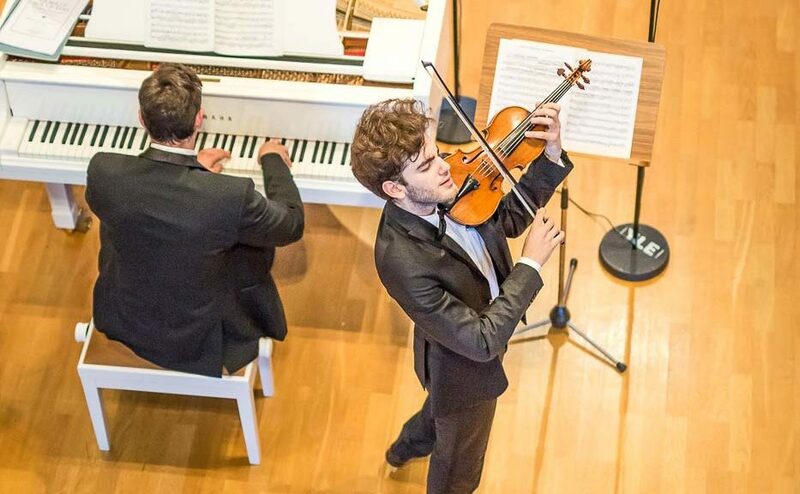 Emmanuel Tjeknavorian shot to fame as the audience favourite in the 2015 International Jean Sibelius Violin Competition, where he won the special prize for the best interpretation of the Sibelius Violin Concerto and the 2nd Prize in the overall competition. Since then his career has taken off spectacularly and he has been hand-picked for the prestigious ECHO Rising Star concert series, which will see him perform in some of the most important venues in Europe. Maria Katzarava has performed in many major opera houses around the world and has worked with conductors Zubin Mehta, Placido Domingo and Gustavo Dudamel, among others. British cellist Natalie Clein has built a distinguished international career. Her recent solo recording was published in February by Hyperion. Natalie Clein will give a solo recital at Hanko combining old and new music. Clein is a professor at the Royal College of Music London, and in 2016, she was appointed Artist in Residence and Director of Musical Performance at Oxford University. The jazz programme at the music festival is headlined by the Kadri Voorand Quartet, who perform music composed by Estonia’s leading jazz vocalist Kadri Voorand, and Finland’s acclaimed vibraphonist Severi Pyysalo, with a number of projects planned for the festival. Many of the artists will also be teaching future musicians at the Hanko Music Course organised as part of the festival. The Hanko Music Festival marks the 100th anniversary of Finland’s independence with its theme, The Free Voice. “For us, 100-year- old Finland means an international and polyphonic society where everyone is free to express themselves. Our festival gives space for musical expression, artistic freedom and encounters between artists and the audience. The festival has no political dimension, but this year it seemed appropriate that our theme should echo the principles of democracy and equality,” says Noa Nakai, Artistic Director of the Hanko Music Festival. The concert series of the seventh Hanko Music Festival takes place 14–19 July 2017 with Hanko Church and Town Hall as its main venues. The festival programme also includes the Hanko Music Course for children and young people and the Fringe series that crosses the boundaries of musical genres. The Hanko Music Festival, during its short history, has already established itself as one of the leading festivals in Finland.